I have been gardening, but had a little motivation to take some photos between digging and weeding marathons. Here are some of the pictures from this past month’s flowers. Everything was very early and now have frost damage, but it was absolutely gorgeous while it lasted. 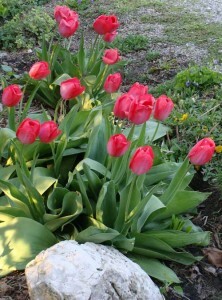 These are the Renown tulips, which in the early heat put out lots of fat green leaves, but not as many blooms. The daffodils, however, were a different story. 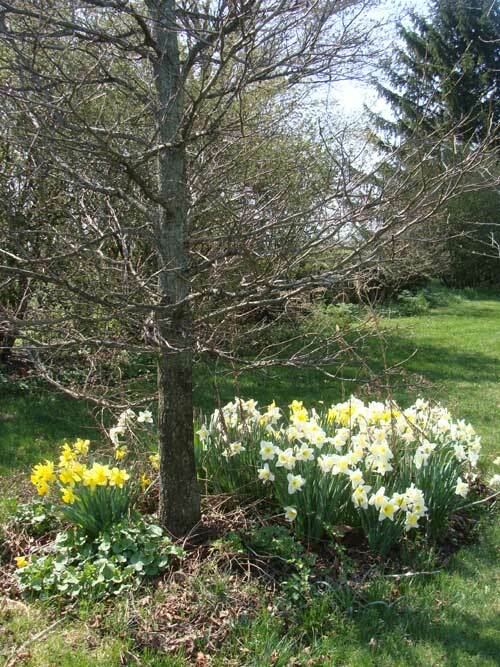 I had loads of daffodils, except for a few places where they need division. that is what I love about daffodils- they always multiply plentifully for me. The Burkwoodii shrubs can also be seen in the background- they grew to be HUGE and always have a lovely scented bloom, although not as large and fragrant as my V.carlesii, they are better landscape shrubs. One of the ‘Little Girl’ series of Magnolias that are the result of a cross originally made at the U.S. National Arboretum, Magnolia ‘Ann’. They rebloom for me. 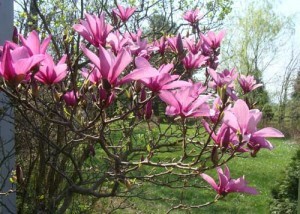 I took a chance on this magnolia when it was on a clearance sale at Lowes. 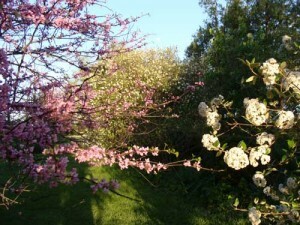 It has proved to be a very pretty ornamental tree in my garden. It always blooms, sometimes twice. 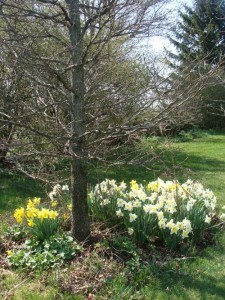 On Easter Sunday we went to Dawes Arboretum, but that will require another post – Until then, Friends! I really love the tulips! Captivating photos!